Hotels and resorts across the Valley are offering some fantastic activities and specials for guests to enjoy over Memorial Day weekend. Kick back, relax and celebrate the start of the summer at some of the best resorts in Arizona. During Memorial Day Weekend, guests of the Phoenician can enjoy a Surf’s Up! Beach Party, featuring a sidewalk chalk art competition, along with sand-castle building, on Saturday, May 28. With a variety of military vehicles on display, guests will have the opportunity to write letters and prepare care packages to send to U.S. servicemen and women overseas on Sunday, May 29. IGNITE at The Phoenician lights up the Independence Day Weekend with an indoor carnival followed by fireworks on Saturday, July 2. A spectacular pyrotechnics show will also be presented by the Arizona Skyhawks Parachute Team. Snag some of the best rates of the year at the AAA Five Diamond resort, starting at just $169 per night, from May 27-August 31, 2016. For more information and to make room reservations, please call (800) 888-8234 and mention rate plan SUMMER, or visit www.thephoenician.com/offers. The Phoenician is located at 6000 E Camelback Rd, Scottsdale, AZ 85251. 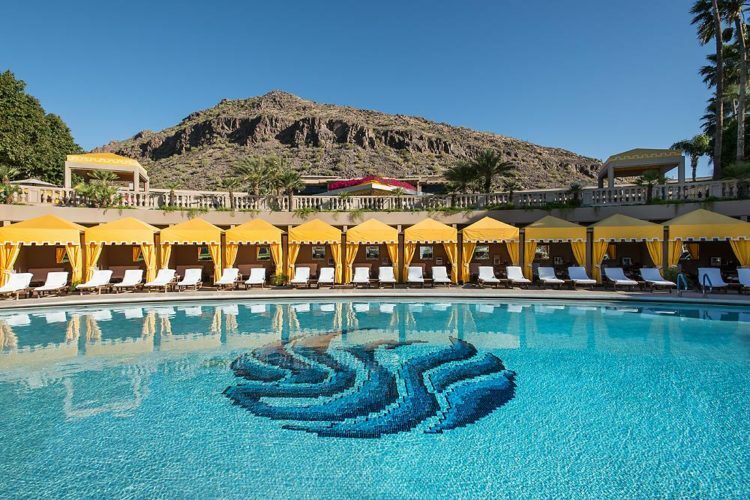 Starting this Memorial Day weekend, the Scottsdale Resort at McCormick Ranch is welcoming summer and celebrating its 40th birthday with hot summer deals along with live decade-themed entertainment, food, and drinks to showcase the newly renovated property. Arizona residents and summer travelers can take advantage of The Scottsdale’s Dive into the Decades Summer Package with rates starting at $159 (Sunday-Thursday) and weekend rates starting from $179, which includes a nightly $50 food and beverage credit (excluding alcohol) and two $25 Luna Spa vouchers (must be used separately). Guests also can enjoy decade-themed cocktails and food at Twisted Vine Pool Bar and Grill, daily happy hour at Bar Six40, and kids under 12 eat free with the purchase of an adult entrée. Summer rates are available May 26 – Sept. 6. Promo code: SUMMER. Rock and roll to “Music & Movies through the Decades” by the Mark Long Band on select weekends with live music poolside noon-6 p.m. and splash-in movies from the decades at 9 p.m. to cool things off. Featured decades include 1970’s (May 27-29, June 10-11 & 24-25), 1980’s (July 1-3, 15-16, 22-23), and 1990’s (Aug. 5-6, 12-13). The Scottsdale closes out summer with a boot, scoot and boogie good time with live country music and Western films on Labor Day weekend (Sept. 2-4) to celebrate the resort’s 40th anniversary on Sept. 4. To book, or for more information, please call (480) 991-9000 or visit www.destinationhotels.com/scottsdale-resort. The Scottsdale Resort at McCormick Ranch is located at 700 E McCormick Pkwy, Scottsdale, AZ 85258. Dreams of lazy days with toes in the sands of paradise is a reality at the Fairmont Scottsdale Princess, starting Memorial Day weekend, when this AAA Five Diamond resort opens its sixth and largest pool – Sunset Beach – with 830 tons of white sand, glamorous cabanas and 102 luxurious new guest rooms, further making this resort a dreamy play-cation destination. Centered around the new pool opening is “Summer Beach Party at the Princess,” taking place every weekend Memorial Day through Labor Day. This celebration is a splashy mix of fun throughout the resort with cool rides down waterslides, Techno Glo pool parties, Dive In movies, the new 4-story Aqua Flyer inflatable waterslide, the new Mermaid University, Swashbuckler Academy and three summer fairies, Dew Drop, Sparkles and Poppy Pixie, who are delightful new Fairmont friends to meet. Plus, the resort has two relaxing pools just for grown-ups. Fireworks then light up the sky summer Saturday evenings, and holiday weekends including Memorial Day, 4th of July Freedom Fest and Labor Day Dreamcation offer an even greater line-up of festivities. Memorial Day weekend 2016 kicks off with nightly beach party concerts from tribute bands: Friday, May 27 is Surf’s Up (Beach Boys); Saturday, May 28 is Coral Paradise (Jimmy Buffet) and Sunday, May 29, Desperado (The Eagles). 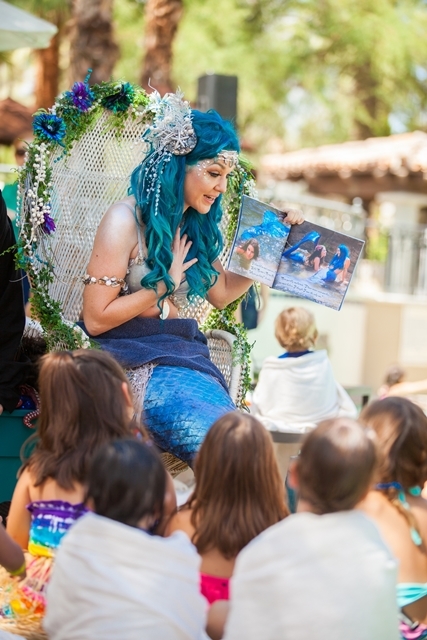 For details, please call 480-585-4848, toll-free (866)-540-4495 or visit scottsdaleprincess.com. The resort is located at 7575 East Princess Drive in Scottsdale, Ariz.
Tempe Mission Palms, A Destination Hotel, is opening its swimming pool all summer long at no charge to the general public. The hotel’s picturesque rooftop pool will be open to the public from 11 a.m. to 7 p.m. daily, from Memorial Day weekend through Labor Day. 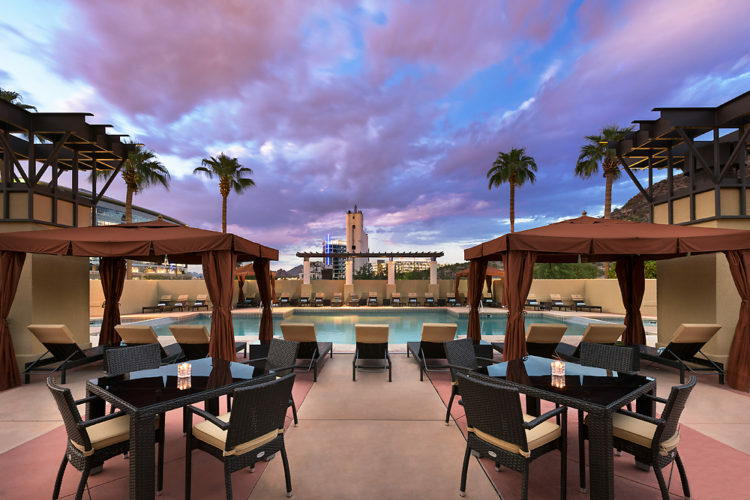 Now through September 10, Tempe Mission Palms is offering a “Summer Scorcher” staycation deal for just $149 a night, which includes a daily $100 food and beverage credit, a late check out at 2 p.m., and a waived hospitality fee. To book, please visit www.missionpalms.com with promo code: SUMFUN. Tempe Mission Palms is located at 60 E 5th St, Tempe, AZ 85281. Friday, May 27, 5 p.m.: The CORE Wine Experience at CORE Kitchen & Wine Bar. Guests can take a wine journey with the Resort Sommelier through the various world wine regions. Participants will discover the art of wine selection, food pairings and what it takes to make a wine great. Cost is $20 per person and reservations are recommended. Please dial (520) 572-3000 for reservations. Since scorpions glow in the dark under a black light, this informative walk led by the Dove Mountain Rangers will search out the critters for a luminescent look. Wear close-toe shoes. One hour, $29. Book with concierge. 520-572-3000. The resort will also offer its popular guided hikes throughout the weekend. 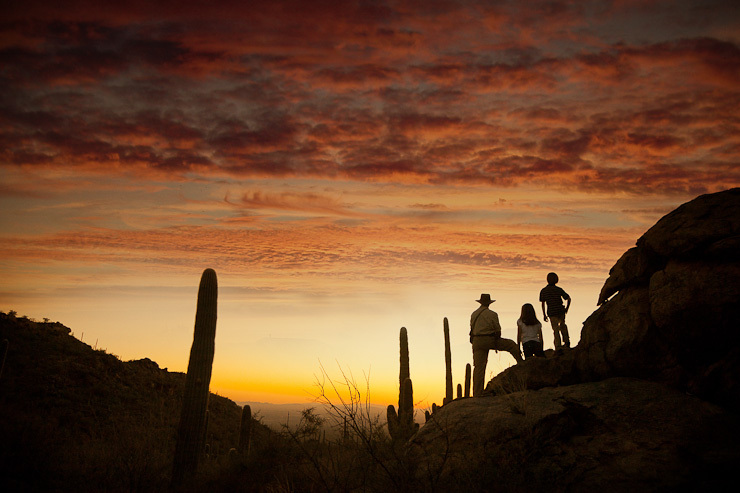 These include the four-mile Rock Art Hike in search of petroglyphs and archaic tribal sites (Saturday, 8 a.m., $50), the Cactus Discovery Hike for saguaro aficionados (Sunday, 8 a.m., $50), and the popular Sunset Vista Sunset Hike along the Upper Javelina Trail (Thursday, Friday and Saturday at 5:30 p.m., $50). The Ritz-Carlton Dove Mountain is located at 15000 N Secret Springs Dr, Marana, AZ 85658.